Our Friday Night Bible study is kind of fun, I think. I enjoy watching the people try to remember the verse from the past week. Sometimes it makes me smile because it is a young child like Yuhayna (9) or sometimes someone like Misael who rips through the verse so quickly that I know he practiced for a while, maybe a day or afternoon mulling over it until they learned it well. I love to see Alma sign hers. She never learned how to read, but each week she learns the words for the verse. God is surely at work in this. "When you are angry, do not sin. And be sure to stop being angry before the sun goes down. Do not give the Devil a way to defeat you." Ephesians 4:26-27. After everyone signs the verse, if they remember it, we clap for them. I then teach a new verse usually with an object lesson. 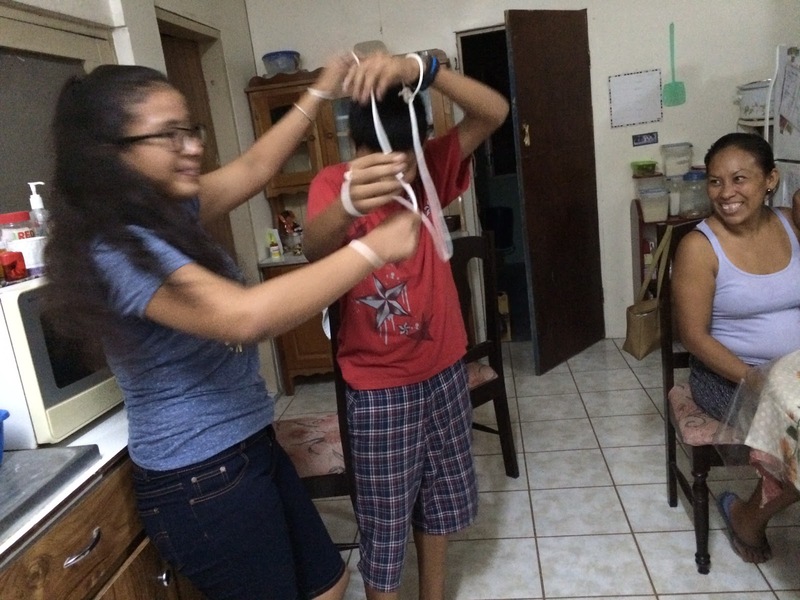 In the photos below Gineli and Misael are trying to "get free". 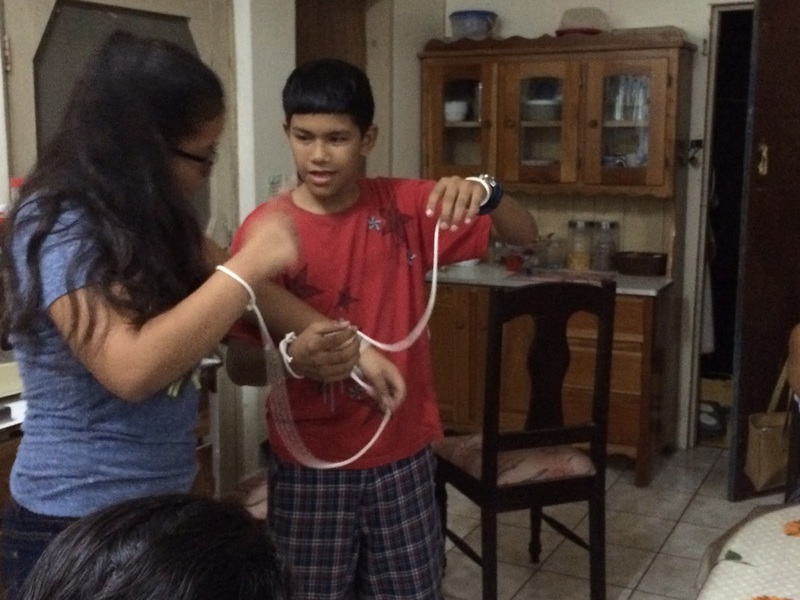 They each have a rope tied to their wrists. The rope is looped through the other person's rope. They enjoyed trying to step over it, twist around and try to find a way to get loose...to be free. After they struggled for a while I showed them the trick. It helped us grasp the concept of how God's grace has made us free. How that freedom is so desirable. Without Jesus' death on the cross we would still be stuck....bound. (Ephesians 1:7). Praise God for His grace that makes us free. I think you all are doing great at learning your verses! God bless you!! !